Mark Richardson has operated in the world of finance and accountancy for 36 years. For the 29 years between 1979 and 2008 Mark had a variety of roles at Deloitte from articled clerk to senior audit partner. His clients covered a wide range from large commercial companies to not-for-profit organisations. Since retiring from Deloitte, Mark has had a number of non-executive and trustee roles for a variety of commercial and not-for-profit organisations. For the last 7 years Mark has been the co-opted member of the Natural History Museum audit and risk committee. At the Natural History Museum he helped set-up and was the initial chairman of the Natural History Museum Development Trust, a separate fundraising trust for the Museum, he remains a trustee. Mark is the treasurer and trustee of ICAN, a specialist charity to help children with speech and language difficulties, a role he has held for 6 years. During his tenure at ICAN Mark has been part of an active Board which has had to wrestle with the twin challenges of recession and Government cut-backs as well as significant reforms in the world of speech and language teaching and support. 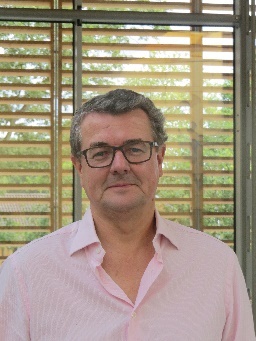 Since 2008 Mark has been a non-executive director and chair of the audit committee of Big Yellow Group plc, a FTSE 250 company offering self storage solutions to individuals and businesses.